Francois treated the crew from Rural Design to a beauty day out at the Mokes on Wednesday. 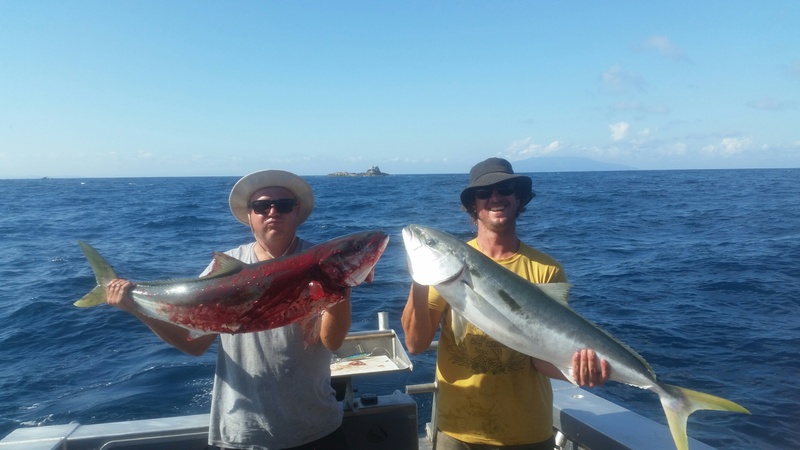 The kingis pictured were hooked up slow trawling a live bait & fast retrieving a popper through schooling Trevally. In the background of the photo is the Navarre rocks……one of Fishmeister’s favourite destinations at the Mokohinau Islands. The day also produced some good snapper straylining at Fanal Island.